Welcome to our new home on the world wide web! We have worked tirelessly to create a place online that adequately reflects the wondrous grace of God that we experience week after week within the 4 walls of our church. God is doing some mighty things among us, and we want to unselfishly share His work with the world around us through every medium possible. Jesus’ charge to the church was to “Go to all the World,” and the web puts All the World within our grasp. Hopefully, our site allows us expanded opportunities to share the gospel of Jesus Christ with those who have yet to hear it. Furthermore, our new site gives me another way to share life with the disciples of First Tabernacle. Our site should assist us all with sharing new and forthcoming information pertinent to our church, and help us all stay in the loop with events happening in church life. This new site for us is somewhat of a new beginning! When I found out that our new site was nearing completion in the 8th month, it reminded me of the fact that the number “8” in scriptures represents New Beginnings! Why do we say 8 represents new beginnings? Throughout scripture, the number 8 is significant. There were 8 people on the ark when God decided to start again after ending the world by a flood judgment. Also, Circumcision was to take place 8 days after the birth of a male child. 8 times in Jesus’ conversation with Nicodemus, the word “born” is said, and 8 times in Jesus’ conversation with the woman at the well, the word “water” is said, and both Nicodemus and the Woman of Samaria were inquiring about a new beginning! 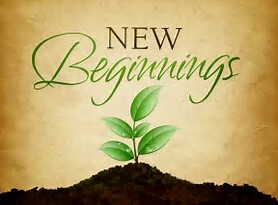 If that seems too surface, do remember that we serve a God who specializes in giving New Beginnings! Rahab the harlot was given a new beginning. She was no longer a woman unclean, she was the redeemed! Ruth the Moabitess was given a new beginning. After leaving Moab empty, she trusted the God of Naomi and went to Bethlehem. There she met Boaz, her kinsman redeemer, and became the mother of Obed, who fathered Jesse, who fathered David, who’s lineage would produce Jesus! That’s a new beginning. Saul of Tarsus, a persecutor of the church, met Jesus on the road to Damascus, and became a preacher of that which he had formerly persecuted. That’s a new beginning! And how about you and me? We have our own stories of what God has done for us, and what He has carried us through. I know we generally talk about new beginnings at the beginning of a new year, but be encouraged. He doesn’t need a new year, to give you a new beginning! He is Alpha and Omega! First and Last! Beginning and Ending! Let’s Get Ready for a New Beginning!